A close look at the lives of the second and third generation of the victims shows that while the disaster may have faded from popular memory, its repercussions continue to haunt the survivors. NEW DELHI: Thirty-four years after thousands of lives were snuffed out at an instant on the intervening night of December 2-3, 1984, the Bhopal gas tragedy continues to cast a shadow over the survivors of the world's worst industrial disaster. A close look at the lives of the second and third generation of the victims, who continue to inhabit the area around the Union Carbide India Limited plant from where the venomous gas leaked on a fateful night, shows that while the disaster may have faded from popular memory, its repercussions continue to haunt the survivors. Rohit Jain, a Delhi-based independent social documentary photographer, has captured the grim pictures of disabled children and young adults in a photo project titled "Children disabilities: A forgotten case of Union Carbide". "That night was over, but years of suffering had just begun," Jain said as he showed the photo of a survivor, Umar Khan, 24, sitting in a wheelchair with a photo of his younger brother Azhar. Last year, Azhar died of muscular dystrophy caused by exposure to methyl isocyanate in the 1984 tragedy. Umar too was diagnosed with the same condition. "Azhar had muscular dystrophy just like Umar. He (Umar) watched his younger brother die and knows that he won't be around much longer," Jain said. "Umar's parents are very caring. They feed him, bathe him and help in other activities. He needs 24 hour care," he added. Over 15,000 people were killed after the poisonous gas leaked from the pesticide plant of UCIL in the city. More than five lakh people were affected by the disaster. "I used to think the story was done and dusted but when I reached Bhopal and toured the neighbourhoods surrounding the factory, I saw the terrible condition children were living in," Jain said. "Around 3-4 children out of 10 had some kind of a disability. I wanted to show how the conditions haven't improved even after so many years," Jain told PTI. While not all residents of the area show visible signs of diseases or disabilities, cerebral palsy, down's syndrome, blindness, learning difficulties and growth retardation are common. But those affected are taken care of by local civil societies like Chingari Rehabilitation Trust and Sambhavna Trust Clinic. 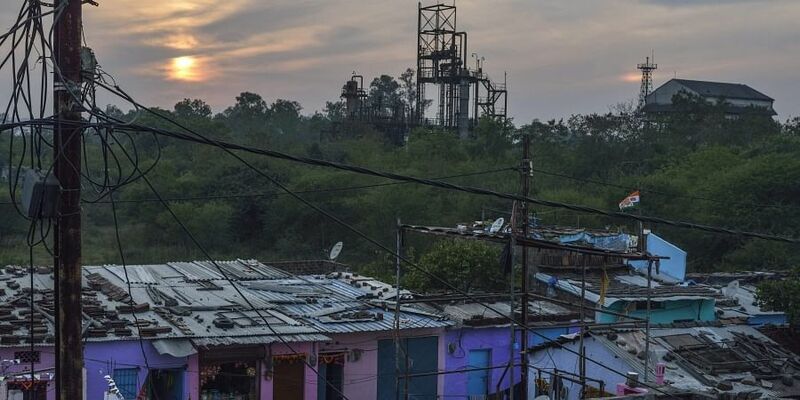 According to The Bhopal Medical Appeal, an organisation working to rehabilitate the survivors and provide them with medical help, toxic wastes from the factory site were dumped into three solar evaporation ponds and which then made their way into the soil and groundwater. "People living in the area have been using the contaminated groundwater for years to cook and wash with," Jain said as he showed the photograph of 17-year-old Siddhesh, who has cerebral palsy and is taken care of by his maternal grandmother. "Siddhesh lives with his maternal grandparents along with his mother who too is a victim of the gas leak. The family of four survives on a pension received by his grandfather who is 78 year old," Jain said. "What is the future for Siddhesh who is 100 per cent reliant on his family and needs care 24 hours?" Jain said.